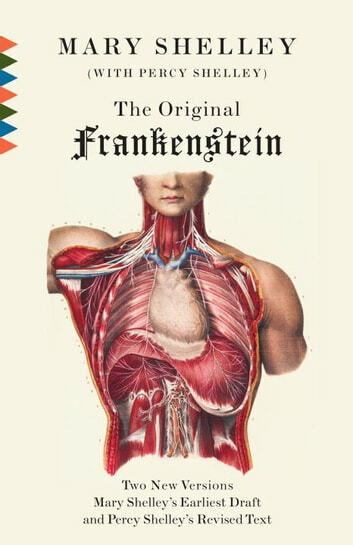 Working from the earliest surviving draft of Frankenstein, Charles E. Robinson presents two versions of the classic novel—as Mary Shelley originally wrote it and a subsequent version clearly indicating Percy Shelley’s amendments and contributions. For the first time we can hear Mary’s sole voice, which is colloquial, fast-paced, and sounds more modern to a contemporary reader. We can also see for the first time the extent of Percy Shelley’s contribution—some 5,000 words out of 72,000—and his stylistic and thematic changes. His occasionally florid prose is in marked contrast to the directness of Mary’s writing. Interesting, too, are Percy’s suggestions, which humanize the monster, thus shaping many of the major themes of the novel as we read it today. In these two versions of Frankenstein we have an exciting new view of one of literature’ s greatest works.